Go Leafs go! The 41st annual Toronto Maple Leafs Skate for Easter Seals Kids is just around the corner on Sunday, November 18 at the MasterCard Centre. 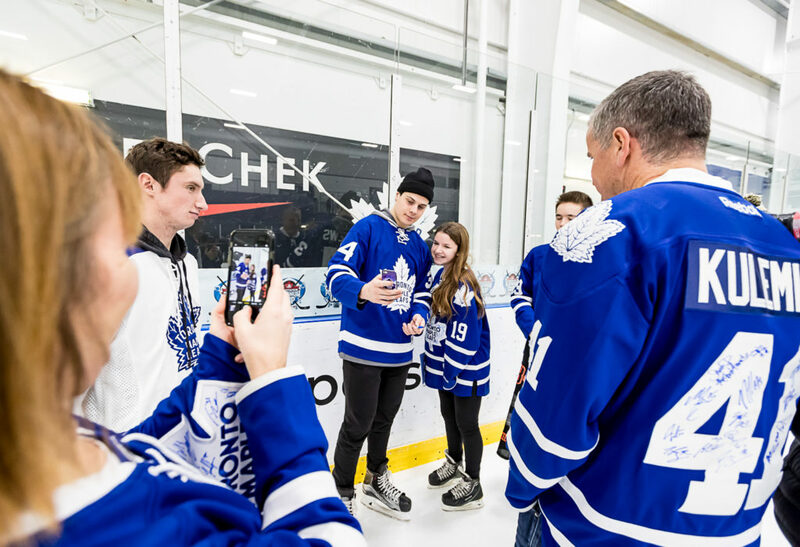 This exceptional fundraising event offers fans the once-in-a-lifetime opportunity to skate with Toronto Maple Leafs players and alumni in support of Ontario’s kids with physical disabilities. Skate participants must raise a minimum of $250 in pledges for kids with physical disabilities. All proceeds will go to Easter Seals Ontario to help kids with physical disabilities lead successful lives. Over the past 40 years, the Toronto Maple Leafs Skate has raised more than $6.9 million. For more information on how to get on the ice with your favourite Leaf, please contact Jessica Simpson at 416.421.8377 ext. 311 or via email at jsimpson@easterseals.org and be sure to check out eastersealsskate.org for registration details and more.